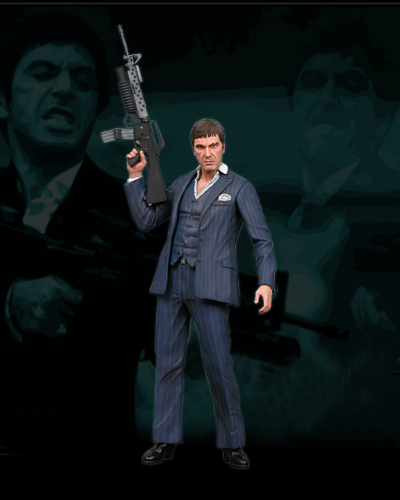 Much as Tony Montana loved white (or at least powder), here he’s rendered in blue. And plastic. But he’s brought his little friend with him.